This is an amazing hand carved double wood gate. The stain color is just right too. This reminds me of an Indian import, but this is clearly an American Made Product. 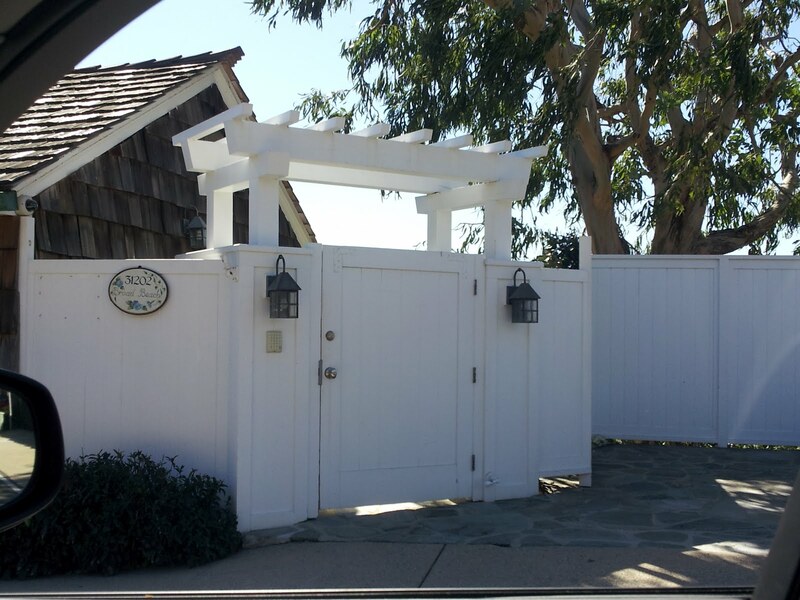 This white painted wood gate is perfect for a beach house. It has the light hearted feeling of the coast while still having some main entry feel with the incorporated arbor over the top. This wood lattice gate around this vegetable garden is another nice example of a gate blending with the fence. 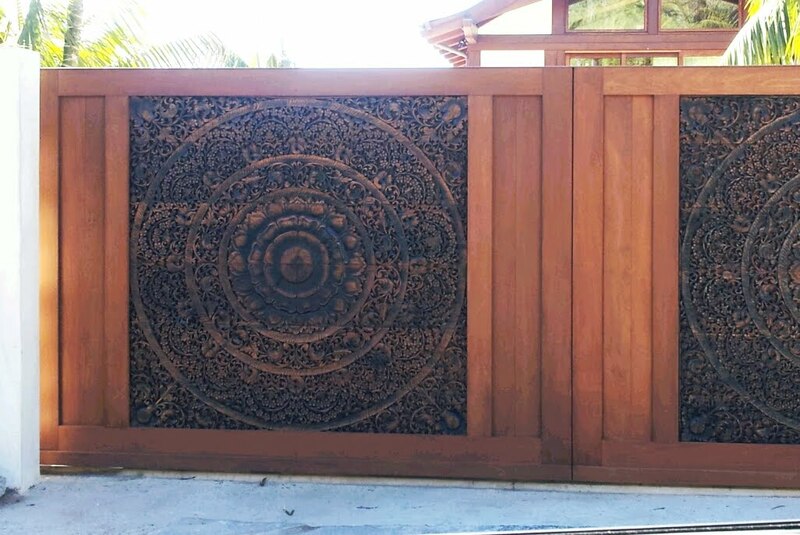 When a gate doesn't need to be inviting and is only a means of access, sometimes it's best to match the gate design as close to the fence as possible. This wood frame and wire mesh gate gets its support from the crossing wood members, yet doesn't draw too much attention to itself and allows views through to the forest beyond. This 8' high wall doesn't feel that tall with 5' of plaster and 3' of wooden lattice detailing on top. This is a nice blend of beauty and security.